INDY CANDY: Audi / Tokio Hotel / 球舞-CUBE-!! Me and Marco from CUBE performed a show, as a kind of opening act for this band from Germany called "Tokio Hotel". The first time I got an email from our manager saying that we'll be doing our performance at the event named "Tokio Hotel Visits Tokyo Presented by Audi A1", it didn't even cross my mind that "Tokio Hotel" is a band! Then, after a while, I took a close look at the event name, and read it twice to make sense of it. 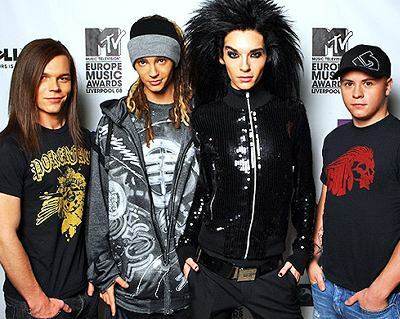 it dawned on me that "Tokio Hotel" is a band!! And I remembered seeing their posters in music stores when we'd toured Germany during the 2006 World cup, and thinking "Tokio what?".. Who would've thought our paths would cross here in Tokyo!! I don't know too much about the band /their music, but I was happy to see the band still going strong, and growing bigger after all these years.